Now that we’ve talked about essential oils for gut health and oils that can help to heal the gut, we can walk through ways to use DIY essential oil blends for digestive issues. There are dozens of oils and countless blends out there, but a few are especially beneficial for the gut, with several approaches for application and use. An essential oil is the “volatile” component of the plant, meaning they are released quickly and evaporate just as fast. This little botany tidbit can help you remember that they work especially well for quick results situations. In other words, most essential oils are helpful for fast-acting results, such as symptom relief and antimicrobial effects. This kind of effect matches well with gut health concerns and is amplified as part of a multipronged approach to healing the gut. Diet and lifestyle changes are imperative, and it’s often worth working with a holistic healthcare professional to maximize your natural efforts using essential oils. As we walk through some of the uses for essential oils and gut health, it’s important to remember that you can integrate the essential oils into your whole-body approach to wellness. Suggesting a DIY essential oil protocol or preparation does not exclude other steps toward health and healing. The DIY Essential Oil Protocol for Gut Health includes evidence-based & traditional techniques to counteract concerns like nausea, GERD, IBS and more! EOs can be used in numerous ways, varying based on the oil, individual, concern, and even preference. Here are some ways to use essential oils for improved gut health. Use capsules when you need the oil to make it to the stomach rather than the mucous membranes of the esophagus. If the oil is specifically for the intestines, enteric coated capsules are necessary, which you can find, but they can be pricey. The important thing to remember for capsule creation is that the oils should still be diluted as an extra precaution, and that the capsule shouldn’t be filled only with the DIY essential oil blend for gut health. You still only need 2-3 drops at a time, so most of the capsule should be comprised of the carrier oil. Very small capsules are best. Note: Internal, medicinal use of oils should be executed in proper dosing, with knowledge of contraindications and safe usage. Seek guidance or further education before creating and using capsules, or use a pre-formulated, pre-dosed essential oil supplement. Optimal oils for capsule use: peppermint, clove, ginger, oregano, tea tree, thyme. (Choose 2-3 oils at a time, and mix up protocol every couple weeks). Carrier oil options: coconut, almond, sesame, apricot kernel, avocado, castor, evening primrose, jojoba, sunflower, pumpkin seed, neem, hemp seed, hazelnut, borage seed. The soothing effects of aromatherapy are translated well into massages, and an upset tummy can be eased with a topical application. If you keep a diluted blend or two on hand, you can quickly grab it and apply when needed. Dilute oils to 1-3% of the total volume into a carrier oil of your choice. Favorites include coconut oil, almond oil, jojoba, and avocado oil. Do remember that if the coconut oil is exposed to temperatures below the mid-seventies, it will solidify. Fractionated coconut oil is an option if you’d like it to remain liquid and other carriers are unavailable. Optimal oils for topical use: peppermint, ginger, caraway, coriander, *fennel, anise, tarragon, thyme, or citrus. Optimal situations for topical use: indigestion, constipation, stomach aches, and nausea. Don’t let a pretty scent fool you! Aromatherapy is powerful, transferring the oil’s composition to your body simply by inhaling it. Inhalation is actually one of, if not the most, effective ways to administer the benefits of essential oils. We are most familiar with diffusion, but DIY essential oils for digestive health can be inhaled much more directly for the person who is experiencing tummy trouble or gut concerns. A couple of drops in a bowl of hot water becomes an instant personal steamer if you “tent” a towel over and inhale. Jewelry or clothing can hold a drop or two for a more lasting personal source to inhale, and aroma sticks can fit in pockets or purses for easy, portable access. The easiest method? Simply open the bottle and sniff! Optimal oils for inhalation: citrus, ginger, fennel, peppermint, clove, cinnamon…or any! Optimal situations for inhalation: nausea, stomach ache. Now that you have a good idea of your options, you can start to connect them for overall health and wellness. Blending the oils first into a carrier oil or honey will ensure proper dispersion and dilution, creating a safer and more effective remedy. For internal use, culinary or otherwise, a pure, organic essential oil is ideal. Choose a few of the following, and blend a total of 20 drops into 10 ml honey and carrier oil (coconut is my favorite): clove, orange, cinnamon, rosemary, eucalyptus, lemon. Stir 2 drops of this diluted blend into tea or water, or take directly. Add a drop or two of the following organic essential oils as replacements in culinary preparations: ginger, fennel, dill, coriander, cardamom, cinnamon, citrus, thyme, clove, etc. Blend 3 drops ginger and 2 drops lemon and diffuse. You could also blend the same number of drops into 10 ml carrier oil and apply topically. Blend 3 drops peppermint and 2 drops ginger and diffuse. You could also blend the same number of drops into 10 ml carrier oil and apply topically. Choose a few of the following, and blend a total of 5 drops into 10ml carrier oil: cardamom, peppermint, tea tree, ginger, caraway, coriander, or fennel. Inhale or use topically. 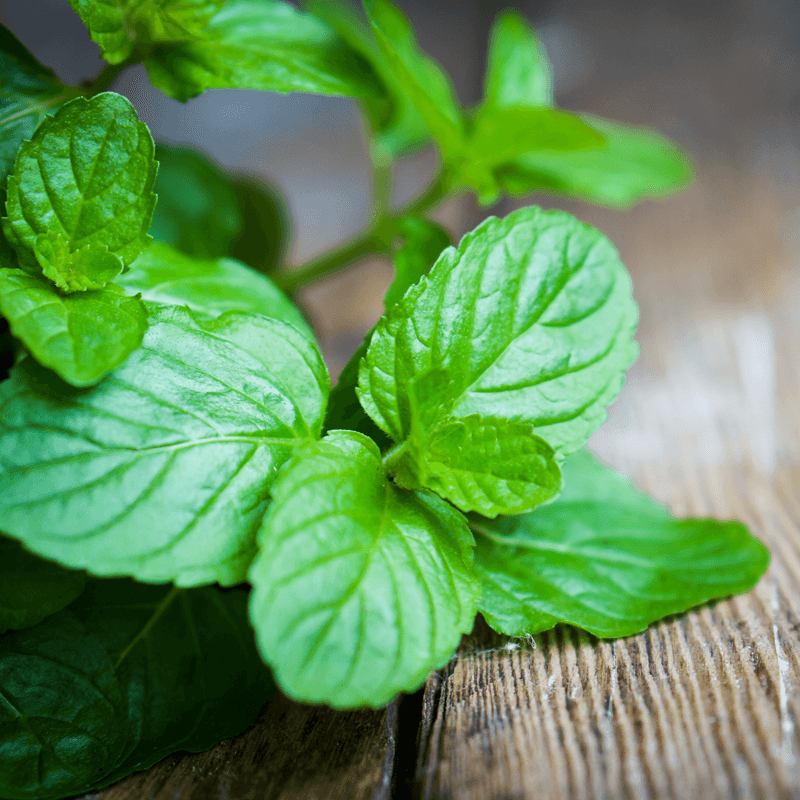 Blend one drop of peppermint in 1 tsp of honey and consume for soothed and improved digestion, or create capsules replacing the honey with carrier oil. A working knowledge of DIY essential oil blends can be a valuable ally in times of digestive upset. Take the time to learn about each of these oils thoroughly so that you can add them to your at-home DIY essential oil medicine cabinet and begin to heal your gut.